Let’s face it; hiring a contractor in any professional field can be a nerve wracking experience. We have all heard the stories of fly by night roofers who were self-proclaimed experts in their field, their finished product however turned out to be a nightmare. This scenario all too often plays out in the lives of really good people, who make really bad decisions when choosing a roofing contractor. This article is to equip you from falling into the same trap we have seen others suffer through. Fact: More than 80% of roofing contractors go out of business within two years of opening their doors. Fact: The roofing industry is riddled with many roofing contractors who are performing roofing services with their 2nd or even 3rd business. Fact: This means that many homeowners no longer have a labor warranty covering their roof, and if their roof was improperly installed there is no accountable party to fix it. Fact: There are many imposter roofing contractors who are not licensed, bonded, and insured. Fact: The roofing industry is among the top in national claims and reports of fraud and abuse. These facts are not to make you nauseous, but to bring your attention to the battle that every business and homeowner goes through when choosing a roofing contractor. Knowledge is your greatest weapon in a hiring situation. Rushing into choosing a contractor often leads to regret and can cost you thousands of dollars. I would like to help you avoid making a mistake before it happens by equipping you with a few pieces of information you need to screen and interview your roofing contractor. Here is a check list of items that you should consider while hiring a roofing contractor. Is the contractor licensed, bonded, and insured? (Ask to see their certificates). Do they have workman’s compensation and general liability insurance? MAKE SURE THE CONTRACTOR IS CERTIFIED WITH THE PRODUCT THEY ARE INSTALLING! Certification affects the quality of warranty you will receive. A certified contractor can offer extended warranties on roofing and workmanship. Are they members of business accountability groups like the BBB or Angie’s list where you can check their ratings. Statistically 80% of new roofing businesses will be closed within the first 2 years, and many more after 5 years. Please make sure the contractor has a stable history. Has the company been in business more than 5 years “with the same name”? Company has a physical business office and address. Positive prior & current references from at least 5 re-roof customers. Specializes in the type roofing work you want performed. Has been in the commercial or residential roofing industry for multiple years. Had employees that are experienced in your specific roofing installation type. The contractor should provide you with a detailed description of the scope of work. 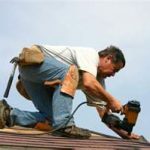 The roofing contractor will guarantee the work they are performing. Does the contractor understand your needs and desires for the project? The lowest price is not always a good indication of the safest choice or best value, if it sounds too good to be true, then it probably is. NEVER IGNORE YOUR GUT FEELING, IF SOMETHING FEELS REALLY WRONG, IT PROBABLY IS. Your experience hiring a roofing contractor can be a peaceful one if you know what to look for, and what to avoid. An educated consumer is one that gets the prize. I suggest printing this out and giving it to your prospective contractors as a pre-screening process. If they are legit they will have no problem providing the above information. Next select the top 3 contractors and experiences that you felt good about and compare price and materials. Now you are in the hands of a few safe roofing contractors and can work towards getting the right system, for the right price. Best wishes from Chase Construction North West, Inc. Please feel free to contact us with any roofing related questions. Prev What type of roofing shingles should I choose, how much should I spend? I have been anxiously looking to find info relating to this and stumbled upon your website online by utilizing google. The points you have share in this blog is really very helpful while choosing roofing contractor. I have done my home roofing by roofing contractors Colorado spring and i really satisfy by their service and their quality work. 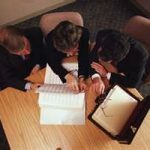 Your company company standard is a rare commodity…. Please visit http://www.gaf.com. There is a section on the right of the front page that says find a GAF certified roofing contractor. Simply type in your zip code and it will pull up a list of GAF Master Elite contractors. All of the contractors shown are in the top 2% of roofing contractors nationally! 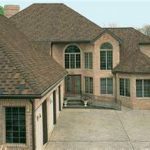 You will be able to view real customer reviews and roofing projects they have installed. This is a safe way to go. Thanks for contacting us Donald. They should also have liability insurance in case something goes wrong with their work. In many areas this is a legal requirement. Although some roofing companies are generally quite talented at making themselves seem extremely worthy of hiring, it is imperative to go into thorough detail with your comparison.